Being a Skilled Conversationalist: Top digital brands don’t just talk at their audiences. Instead, they are talented at creating and participating in conversation that leverages their content and messages for the building of lasting relationships. Being Authentic: Top brands identify truths relevant to their audiences and incorporate those truths into their content. As a result, they are able to inspire their audiences. Being Data Driven: Most brands understand the importance of collecting data, but do they know what to do with it once they have it? The top brands effectively use the data they collect for the optimization of their campaigns as well as to gain insight and inspiration for their efforts going forward. Being Discoverable: Even the most creative and inspiring of campaigns can fall flat if a brand is in the wrong place at the wrong time. Top digital brands learn where their customers are and position themselves to have a discoverable presence where their customers and prospects spend time online. Being Relevant: The conversation is currently changing in the digital arena. The brands that excel are those that stay relevant through effective navigation of current conversation. Being a Content Creator: Content is still king, but in an ever-changing market, brands must strategize and take creative approaches to producing and distributing the right type of content at the right time. Top digital brands do this exceedingly well. 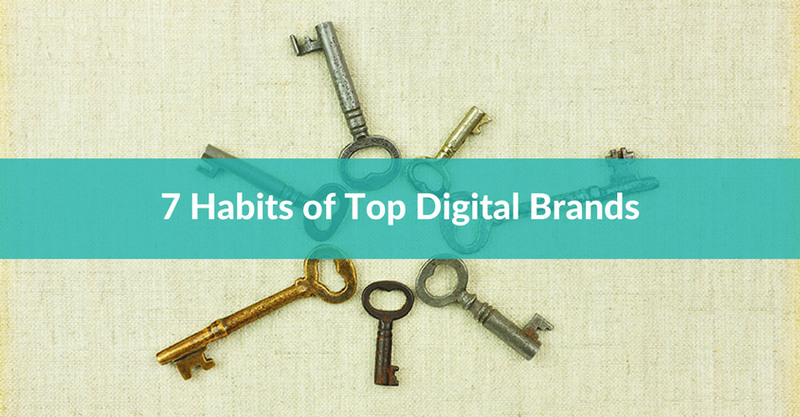 Being Constant: Top digital brands develop and steadfastly maintain core values while remaining constantly alert for new ideas and approaches. Let’s look at two brands, one old and one new, which exemplify many of these 7 Habits. Consider Oreo as an example of an oldie but goodie that has reinvented itself through social media. For example, Oreo incorporates fun, attention-grabbing memes and current events into its “Daily Twist” campaign. The real-time Super Bowl 2013 “Dunk in the Dark” campaign was another excellent example of its skill as well as its effective use of top-level marketers to make smart choices. Oreo is also discoverable, doing extremely well on Facebook, where it has over 35 million likes, and on Twitter, where it has over 283,000 followers. Further, its website does a fantastic job of engaging the brand’s audience by allowing its community to share Oreo moments. We’ve seen how a venerable brand has reinvented itself digitally, so let’s also consider the relative newcomer, Warby Parker. This brand is not only newer but also an industry disruptor: they sell eyeglasses entirely online for one price point of $95. Because of its only-online approach, this brand had to prove itself digitally and socially strong right from the very beginning. To this end, the brand provides its customer service socially via Facebook and Twitter. It also encourages engagement and draws attention by asking customers to share videos of themselves trying on Warby Parker glasses and then posting their videos on Facebook. Shoring up its efforts are buzz-generating events, Internet ads and online video campaigns. Its April Fools campaign is a good example of this brand’s skill. It offered customers doggy eyeglasses via a fake pet eyeglass vertical called Warby Barker. When customers added Fido’s eyeglass choice to their cart, they received an April Fools message! And the photos of doggies wearing stylish eyewear? Simply brilliant, and adorable. 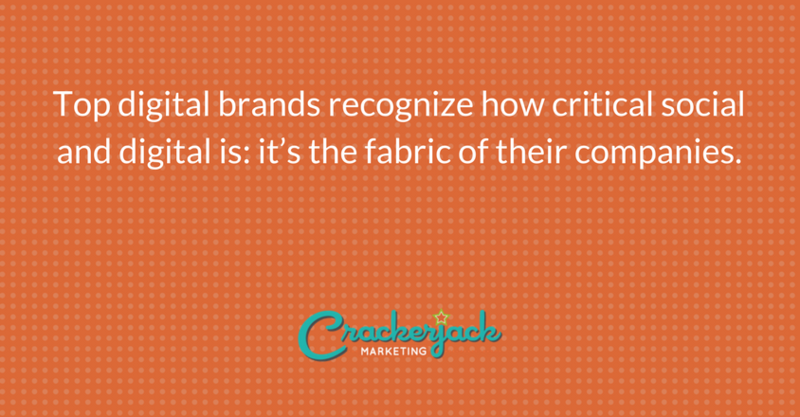 Top digital brands recognize how critical social and digital is: it’s the fabric of their companies. But they work very hard at capturing and keeping the attention of their audiences. 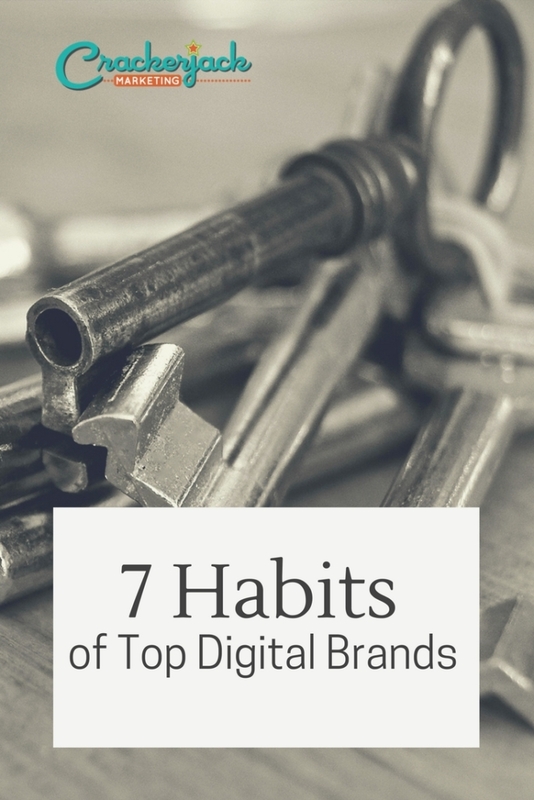 You can’t go wrong if you strive to make the 7 Habits of Highly Digital Brands the habits of your brand.